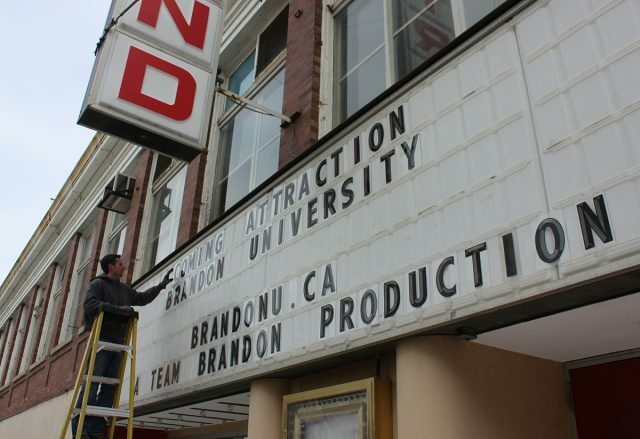 The Strand Theatre sign and marquee will be among the heritage elements of the former theatre that are salvaged by Brandon University. 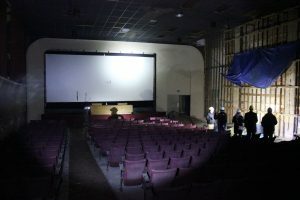 Brandon University is taking steps to preserve the heritage of the former Strand Theatre in downtown Brandon, with the doomed building set to come down by the end of March. Workers and members of the media tour the decayed interior of the former Strand Theatre in 2017. Along with the Strand sign and the marquee sign, BU will be removing and preserving many of the vintage wood joists from the structure. Brandon University has partnered with the Brandon Sun to store the signage and salvaged wood. Salvage of the historic elements from the former Strand theatre building begins as early as March 1, with demolition of the remaining structure immediately afterward. Brandon University has engaged Total Demolition to demolish the structure and also to evacuate and demolish the vacant basement underneath the old Brown Block property immediately to the south. Full backfilling and cleanup of the property could extend into late April. Staging and preparatory work is nearly complete. To protect public safety during the demolition, both lanes of 10th Street will be closed to vehicles between Rosser Avenue and Princess Avenue, as will the southern portion of the laneway between 9th and 10th Streets. No parking will be permitted on the 100-block of 10th Street until the street is re-opened, however vehicles will be able to access and use the parking lot at the corner of 10th Street and Rosser Avenue throughout. 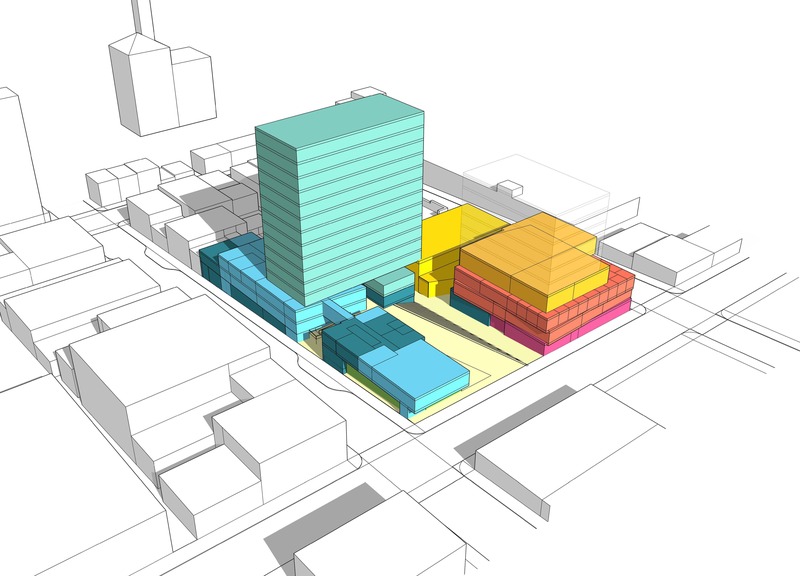 A rendering of options for Brandon University’s downtown development. People will still be able to visit 10th Street businesses by foot, with full pedestrian access along the west side of 10th Street from Rosser to Princess, as well as partial access on the east side of 10th Street from Rosser Avenue to the start of the current Strand structure. The street is expected to close as early as Thursday, March 1, and will reopen as early as March 30. Demolition of the decaying former theatre will open up the final piece in the large parcel of land that Brandon University has assembled for downtown development. Pre-development for the downtown initiative is wrapping up. It is planned to be largely residential, with up to 250 units, ideally a mix of student residences and seniors housing. Other components of the development being considered are retail or commercial spaces, academic and learning areas, and arts and cultural venues, including potentially a gallery space and a convertible theatre space. For more information on Brandon University’s transformational downtown development, visit BrandonU.ca/Downtown.